As a part of The Last Space and TLM Issue 5 we printed our editors letter on 200 pieces of authentic I (heart) NY T-Shirts. 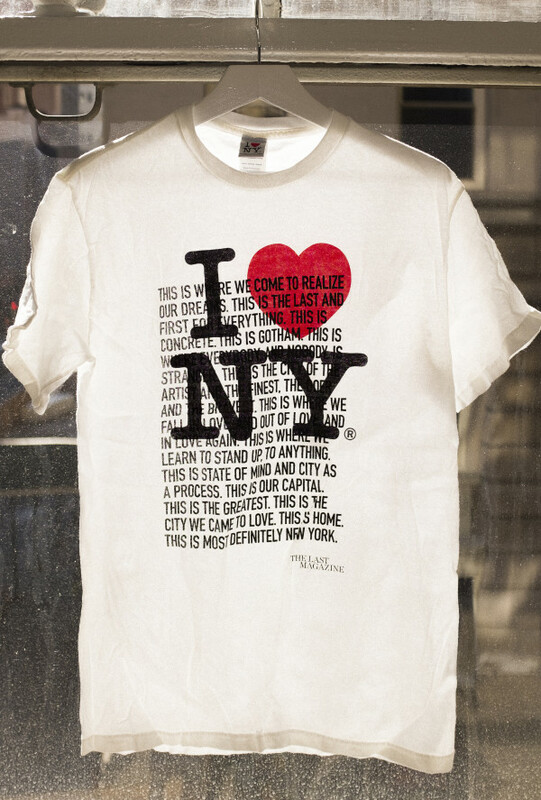 Screen printed on original and heavily pre-washed I (heart) NY T-Shirts. Therefore we recommend you to buy a size or two larger than usual.